This is Not available to ship across the US because it's still against the law and we could both get into trouble so don't buy this unless you live in Colorado and I can deliver in person. Instead of using coconut or olive oil to extract the cannabis goodies I figured why not use the plant's cousin, hemp oil, since it has many benefits as well. So this Live Ormus Oil is made from taking Hemp oil and cooking it in a pan on low with a strong Indica Cannabis broken down into shake added into the oil. After a few hours I filtered the oil and then added Dead Sea Salt and Sea 90. Then after letting it sit in a M.E.O.W. kettle for a few days and shaking it up sporadically I then filtered out the salt. It's now a very strong healing Live Ormus Oil that can be taken orally or topically. So What Exactly Makes Hemp Oil Healthy? Hemp seeds are rich in protein, polyunsaturated fatty acids, omega 6, omega 3 and insoluble fiber. They are a good source of tocopherols, or Vitamin E antioxidants. They're packed with minerals such as potassium, magnesium, iron, zinc, calcium, and phosphorus, plus microelements like strontium, thorium, arsenic and chromium. Hemp Oil Helps Maintain a Hormonal Balance: Hemp is the only edible seed that contains gamma-linolenic acid, which is eventually converted to the protective hormone prostaglandin PGE1 that regulates the hormonal balance and supports menopausal health. Hemp Oil Regenerates and Energizes The Skin’s Protective Layer: Due to its high content of omega 3 and omega 6 fatty acids, hemp oil has a composition similar to skin lipids, which makes it an excellent natural emollient and moisturizer. It is especially useful for dry, tired or dehydrated skin and nails. It increases the skin elasticity and water retention capacity in tissues. Pure hemp oil can be used to treat dry hair and is often included in hair conditioners. Hemp Oil is Great For Vegetarians: Getting the right balance of omega-3 and omega-6 fatty acids can be tricky for vegetarians and vegans. Hemp oil has the optimal ratio of these acids. Hemp Oil Helps Lower Cholesterol: The only vegetable oil to contain omega-3 and omega-6 fatty acids (3:1), hemp oil can help lower cholesterol levels by accelerating metabolic processes. With a faster metabolism, fats burn at a quicker rate and are not deposited on the artery walls. Hemp Oil Can Be Good For Diabetics: Due to its low carbohydrate and sugar content, hemp oil is can be a great food additive for diabetics. The nutrients present in it can help moderate blood sugar levels. Hemp Oil Can Help Prevent Psoriasis: Psoriasis is caused by a deficiency of omega-6 fatty acids in the body. The fatty acids present in hemp oil help improve skin oxygenation and hydration. 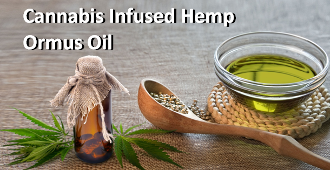 Hemp Oil Can Boost Your Immunity: Omega-3 and omega-6 fatty acids also improve immunity and regulate intestinal flora, thus building a natural barrier against microbes and increasing the resilience of the body. Hemp Oil Helps Prevent Demyelination Of Nervous System: Essential fatty acids are necessary for a healthy cell membrane structure. They also prevent the demyelination, the destruction of the myelin sheath (a membrane that protects the nerve cells). Hemp Oil Can Help Prevent Varicose Veins: Like other compounds high in omega-3s, hemp oil can thin your blood, reducing blood clots and varicose veins.